Tamaskan breeder! We try to breed our puppies in the most healthy and animal-friendly way. We intend to do this with our own Tamaskans Dany and her daughter Kyra. 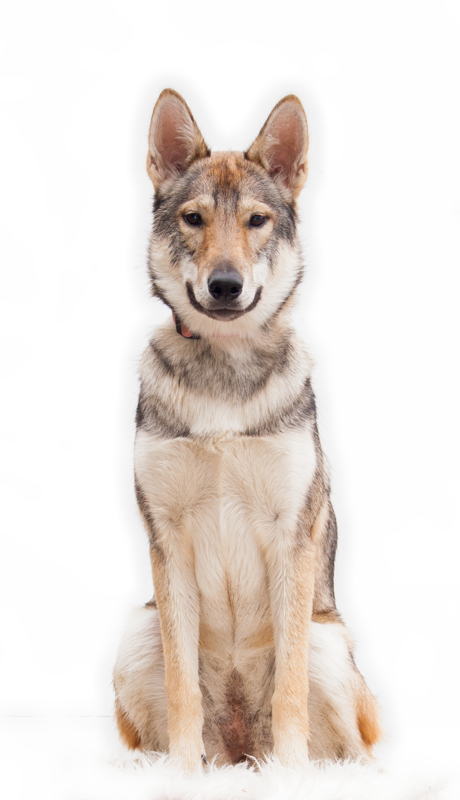 Looking for a Tamaskan dog? 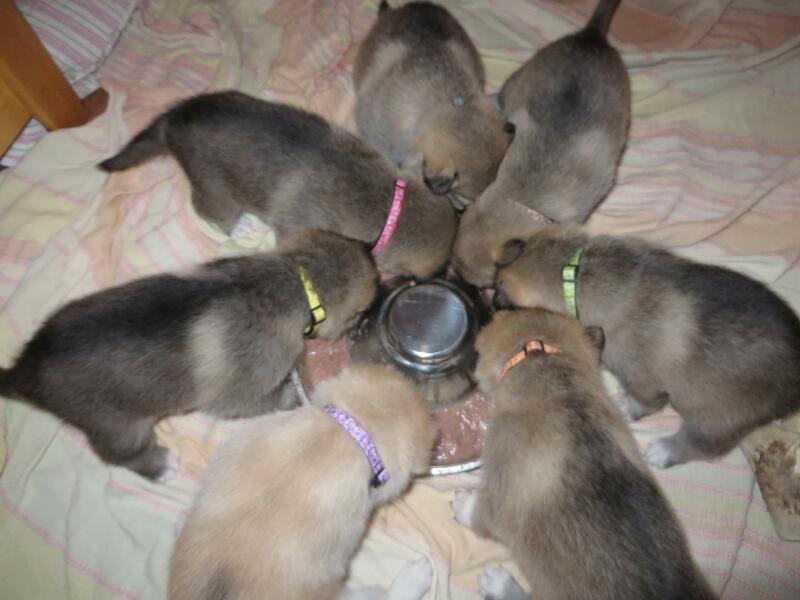 For more pictures of our Tamaskan dog, visit our image gallery! Dany was born on October 20, 2013 as Sylvaen Eevee, daughter of Bluestuf Elliot (Xantho) and Blustag River Jordan (Vixen). She has a very friendly character, is eager to learn and easily picks up new tricks. She is easygoing with other dogs, children and strangers. She usually comes along with us. If she has to stay at home then that’s alright as well. Dany completed the puppy training and she’s also done obedience level 1. 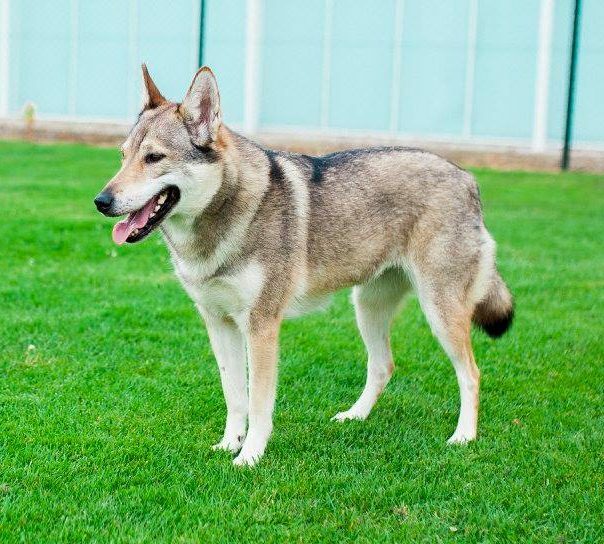 She greatly enjoys agility training and it’s something she is really good at. She is very quick and agile due to her rather small build. From the first litter with Dany we kept a female ourself. Her breeder name is Alegria Halin and we call her Kyra. The charachter from Kyra is different than her mother. She is more affectionate to us and Dany. She has a little separation anxiety and wants to be with us. The anxiety is getting less while she grew older. Due to circumstances, we currently do not have plans for a next litter (2019). As soon as we plan for a new litter we will announce this. If you are interested in a Tamaskan puppy, you can contact us using the form below. After you’ve contacted us, we will request you to fill in a questionnaire regarding your interest and housing situation to enable us to make a good match between you and the puppy. If accepted, you will be put on the waiting list. Once the puppies are born you will hear if there is one available for you and you will be asked to make a down payment. After about 7 weeks the puppies will have a character test, so we can match you with a puppy. This means you can’t choose a pup yourself. In the unfortunate case that we are not able to make a good match, you will be refunded your down payment. We found an excellent match for Dany’s first litter. 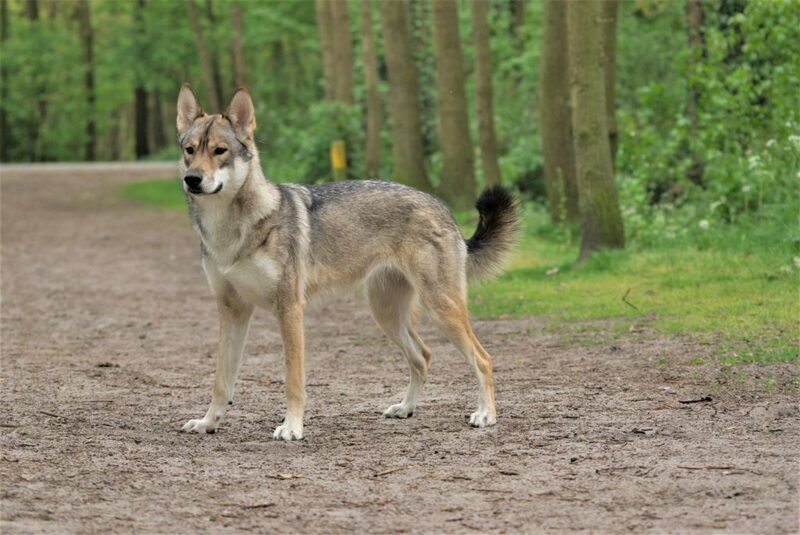 This is Noah “Ahanu Sunkmanitu Tanka O’waci”, he is a stud from the first official Dutch Tamaskan Club litter. He was born on January 14, 2014. Wij maken gebruik van cookies. Door gebruik te maken van deze site, gaat u akkoord met het plaatsen van cookies.